Wallace Chevrolet > Camaro > Camaro ZL1 Convertible Breaks Cover! Camaro ZL1 Convertible Breaks Cover! It’s been a week since Chevrolet pulled the wraps off the brand new 640 hp Camaro ZL1, yet already we’re already being introduced to its roofless sibling. Meet the all new 2017 Camaro ZL1 Convertible! 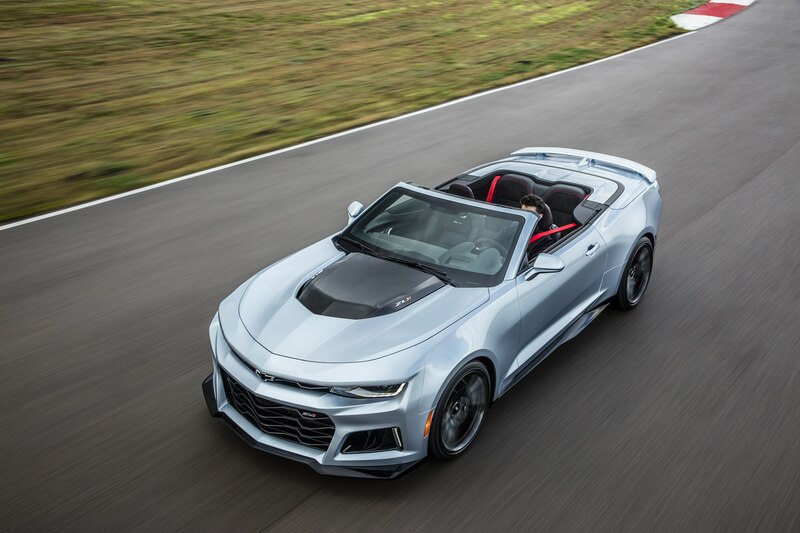 Thankfully, those that opt for a drop-top ZL1 still get the same fire-breathing 640hp supercharged 6.2L V8 engine lurking under the hood of the hard-top version (which was originally lifted from the Corvette Z06). 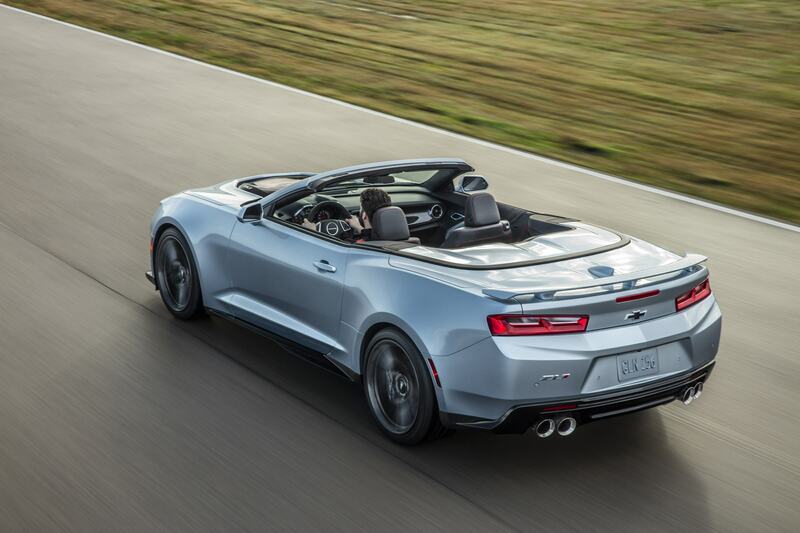 And just like its coupe sibling the ZL1 Convertible is also available with a choice of two transmissions: a slick-shifting six-speed manual transmission with active rev match or an all-new, next-generation 10-speed automatic with paddle-shifters. But don’t for a minute think Chevrolet merely hacked-off the roof and called it a day- far from it. The modular architecture beneath the bodywork of Camaro 6 was designed from the outset with a high-performance convertible variant in mind. Consequently, there area only a few minor structural differences that separate coupe & convertible, which allows the convertible to steer and feel a lot like the coupe. Plus, a suite of performance driving technologies also help keep it glued to the road. Standard features include Magnetic Ride Control, Performance Traction Management, electronic limited slip differential, Custom Launch Control and Drive Mode Selector. 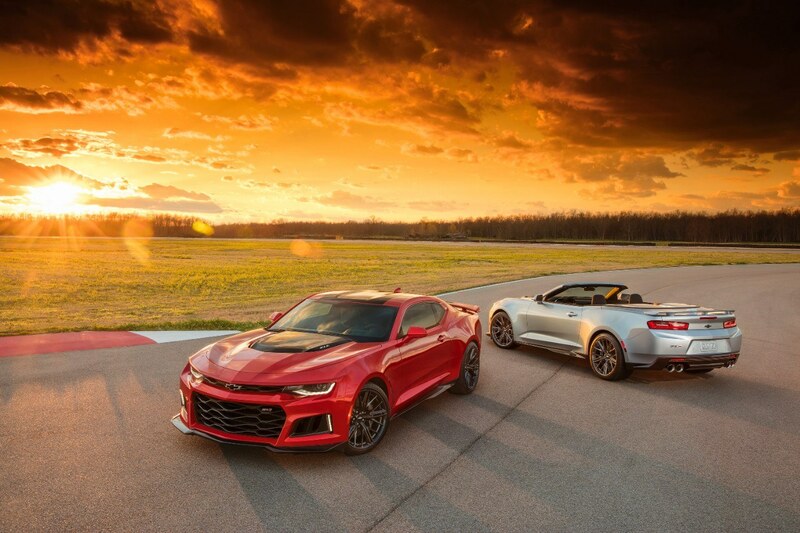 The Chevrolet Camaro Zl1 coupe arrives in showrooms in late 2016, while the convertible arrives in early 2017. In the meantime, why not take a drive in the 455hp Camaro SS? Book your test-drive right here! Or, give us a call at 1-888-878-2354 today!